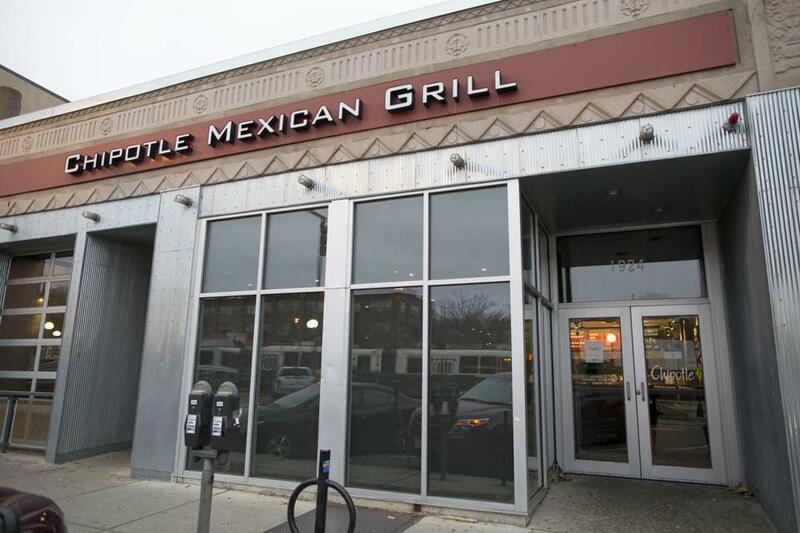 About 140 customers fell ill after eating at Chipotle’s Cleveland Circle location last year. At least 96 people who were sickened after eating food from Chipotle restaurants around the country have received undisclosed cash settlements from the company, including 14 who contracted norovirus from a Boston location late last year. One plaintiff, a 19-year-old woman from Oregon who racked up big medical bills when she was hospitalized with E. coli, requested and received an additional, unusual perk: coupons for free burritos from Chipotle. Bill Marler, a Seattle-based attorney known nationally for his decades of work litigating foodborne illness cases, said he was taken aback by his client’s request for food from the company that made her sick. “I’ve been doing this a long time, and I’ve never had a client ask for such a thing,” he said in a phone interview Monday. He said the woman received about two dozen free burrito coupons from Chipotle. Marler said in recent months he has resolved 96 cases nationwide stemming from an E. coli outbreak and norovirus cases connected with Chipotle. One additional complicated case is pending, he said. The Oregon woman was not alone in her continued loyalty to the restaurant chain, he said. Marler’s clients included 14 people who were among about 140 Chipotle customers — many students at Boston College — who reported becoming sick after eating food at the chain’s Cleveland Circle restaurant in December 2015. It wasn’t clear whether any of the scores of other local victims had taken legal action against the company. The location was forced to close temporarily after complaints of illnesses prompted an inspection by food safety officials. The inspection found serious violations, including an employee who had come to work sick, and failure to adequately heat chicken and beef. Watertown attorney Andrea C. Dow worked with Marler to settle the 14 Boston cases, most of which were resolved before lawsuits were filed in court. One of those clients was Dow’s own son, a 17-year-old junior in high school. Dow said her son at one point suggested he could settle the lawsuit by getting the company to agree to give him free burritos for life. Dow said she talked her son out of it, but, she said, he still eats there. Dow and Marler both said the company appeared to have a clear strategy in how it handled the cases. Marler said he’s sued many large restaurant chains in the United States since he represented clients in the high-profile Jack in the Box E. coli outbreak in 1993. Neither the company nor the lawyers representing customers would disclose the amounts of the settlements. Despite allegiance from some customers, the food scares have led to a decline in Chipotle’s sales of late, and a drop in the company’s stock price. To try to win back customers, the company has announced a tightening of food safety practices, given away millions of free burritos, and launched a loyalty reward program. Reuters, which first reported this week on the settlements, said Chipotle is still facing a federal criminal investigation into food safety matters, as well as a lawsuit over allegations it misled investors about its food safety controls.